Advameg. (2016). France. Retrieved from http://www.everyculture.com/Cr-Ga/France.html. Australian Trade and Investment Commission. (2017). France - market profile. Retrieved from http://www.austrade.gov.au/Australian/Export/Export-markets/Countries/France/Market-profile. Bachrach, B.S., Bernard, F., Bisson, T. N., Blondel, J. F. P., Drinkwater, J. F., Elkins, T. H., . . . Wright, G. (2017). France. Retrieved from https://www.britannica.com/place/France#toc215768main. Beardsley, E. (2017). In France, Some Muslims Seek to ‘Adapt’ Islam To Secular Culture. Retrieved from http://www.npr.org/sections/parallels/2017/02/13/512475280/in-france-some-muslims-seek-to-adapt-islam-to-secular-culture. Bibard, F. (2015). French Names: Everything you always wanted to know. Retrieved from https://www.talkinfrench.com/french-name-meaning/. Brunot, T. (2017). French Dating Etiquette. Retrieved from http://peopleof.oureverydaylife.com/french-dating-etiquette-10081.html. Central Intelligence Agency. (2017). 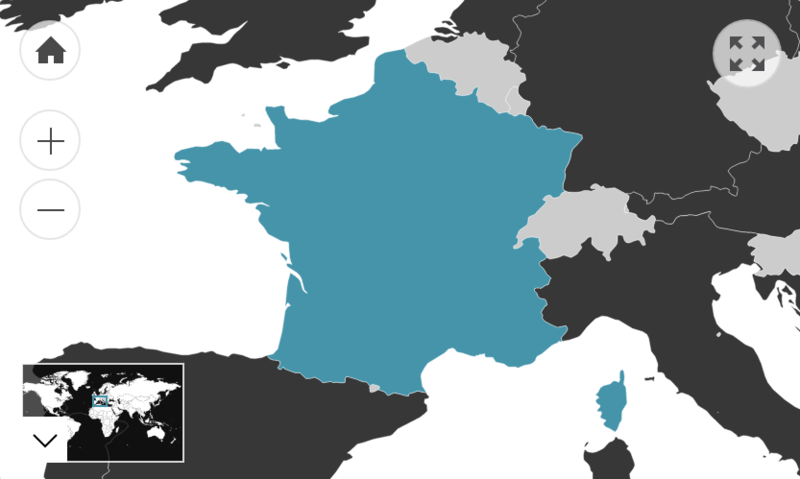 The World Factbook: France. Retrieved from https://www.cia.gov/library/publications/resources/the-world-factbook/geos/fr.html. COMMISCEO Global. (2016). France Guide. Retrieved from http://www.commisceo-global.com/country-guides/france-guide. Culture Crossing Guide. (2014). France. Retrieved from http://guide.culturecrossing.net/basics_business_student.php?id=71. Department of Immigration and Citizenship. (2015). Community Information Summary: France-born. Retrieved from https://www.dss.gov.au/sites/default/files/documents/02_2014/france.pdf. eDiplomat. (2016). France. Retrieved from http://www.ediplomat.com/np/cultural_etiquette/ce_fr.htm. Ellwood, D. (2013). Why do the French insist on their ‘cultural exception’?. Retrieved from https://blog.oup.com/2013/09/french-cultural-exception/. FluentU. (2017). French Customs and Etiquette: Frogs Legs, Kissing and Other “Francey” Habits. Retrieved from http://www.fluentu.com/french/blog/french-customs-etiquette-francey/?lang=en. Geert Hofstede. (2016). France. Retrieved from https://www.geert-hofstede.com/france.html. Global Affairs Canada. (2014). Cultural Information - France. Retrieved from https://www.international.gc.ca/cil-cai/country_insights-apercus_pays/ci-ic_fr.aspx?lang=eng#cn-1. Globe Media. (2017). Expat Arrivals Guide to France. Retrieved from http://www.expatarrivals.com/france/culture-shock-in-france. Hewitt, N. (Ed.). (2006). The Cambridge Companion to Modern French Culture. Cambridge: Cambridge University Press. iExplore. (n.d.). French Culture and History. Retrieved from http://www.iexplore.com/articles/travel-guides/europe/france/french-culture-and-history. Just Landed. (2016). Social customs in France. Retrieved from https://www.justlanded.com/english/France/Articles/Culture/Social-customs-in-France. King, T. (2004). Secularism in France. Retrieved from https://www.prospectmagazine.co.uk/magazine/secularisminfrance. Koffler, J. (2015). Here are places women can’t take their husband’s name when they get married. Retrieved from http://time.com/3940094/maiden-married-names-countries/. Museum Victoria Australia. (n.d.). History of immigration from France. Retrieved from https://museumvictoria.com.au/origins/history.aspx?pid=21&cat=none&cid=0. Normandy Vision. (2017). The concept of Laїcité in France. Retrieved from http://www.normandyvision.org/article12030701.php. Rendez-vous en France. (n.d.). A brief History of the Jewish Community in France. Retrieved from http://us.france.fr/en/about-france/brief-history-jewish-community-france. Servettaz, E. (2017). How to be a Jew in France. Retrieved from http://www.tabletmag.com/jewish-news-and-politics/198147/how-to-be-a-jew-in-france. Team France Australie. (2014). La France Down Under. Canberra: French Australian Chamber of Commerce. The Economist. (2013). Bleak chic. Retrieved from http://www.economist.com/news/christmas-specials/21591749-bleak-chic. Williams, Z. (2011). New Europe: Why France’s gender code makes life hard for women. Retrieved from https://www.theguardian.com/world/2011/mar/25/new-europe-france-women-gender-code. Winkler, E. (2016). Is it time for France to Abandon Laïcité?. Retrieved from https://newrepublic.com/article/127179/time-france-abandon-laicite.